Bob Hudson was born in 1947 in Kansas City, Missouri. He was commissioned through the Air Force ROTC Program at Kansas State University on May 30, 1970, and went on active duty beginning September 12, 1970. Hudson completed Undergraduate Pilot Training and was awarded his pilot wings at Webb AFB, Texas, in September 1971. After completing B-52 Stratofortress Combat Crew Training, he was assigned to the 716th Bomb Squadron at Kincheloe AFB, Michigan, where he served until being shot down over North Vietnam while on TDY to Southeast Asia during Operation Linebacker II on December 26, 1972. After spending 93 days in captivity, Lt Hudson was released during Operation Homecoming on March 29, 1973. He was briefly hospitalized to recover from his injuries at Wright Patterson AFB, Ohio, and then became a T-39 Sabreliner pilot at Offutt AFB, Nebraska, from August 1973 to November 1976. Capt Hudson next completed FB-111 Combat Crew Training and served with the 380th Bomb Wing at Plattsburgh AFB, New York, until August 1984. 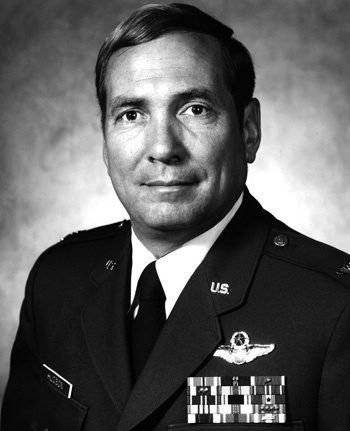 He served as Chief, Battle Staff, of the 2nd ACCS at Offutt AFB from August 1984 to February 1987, and then as Director of the Future Command Control Systems Division at Headquarters Strategic Air Command, Offutt AFB, until August 1988. From August 1988 to May 1992, Col Hudson served as Deputy Base Commander and then Base Commander for a classified national flight test support facility. 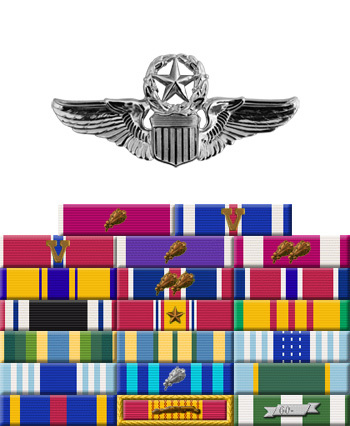 His next assignment was as Base Commander of Brooks AFB, Texas, where he served from June 1992 to June 1996. Col Hudson's final assignment was as Inspector General of the 86th Airlift Wing at Ramstein AB, Germany, where he served from June 1996 until his retirement from the Air Force on July 31, 1998. After his retirement from the Air Force, Bob was Executive Director of ServiceMaster/ARAMARK in Albuquerque, New Mexico, from 1998 to 2004. Since 2004 he has been Training Project Manager for UNITECH in Albuquerque. Bob and his wife Linda have two children. First Lieutenant Robert H. Hudson distinguished himself by heroism while participating in aerial flight as a B-52 Copilot over North Vietnam on 26 December 1972. On that date, Lieutenant Hudson participated in a high-priority bombing mission against a vital military target in heavily-defended areas of North Vietnam. Despite the intensity of defensive reaction and the extreme hazards posed by numerous surface-to-air missiles and hostile interceptors, Lieutenant Hudson displayed a courageous willingness to place the mission above his personal safety in directing his aircraft to a successful release of his ordnance on the designated target. The outstanding heroism and selfless devotion to duty displayed by Lieutenant Hudson reflect great credit upon himself and the United States Air Force.